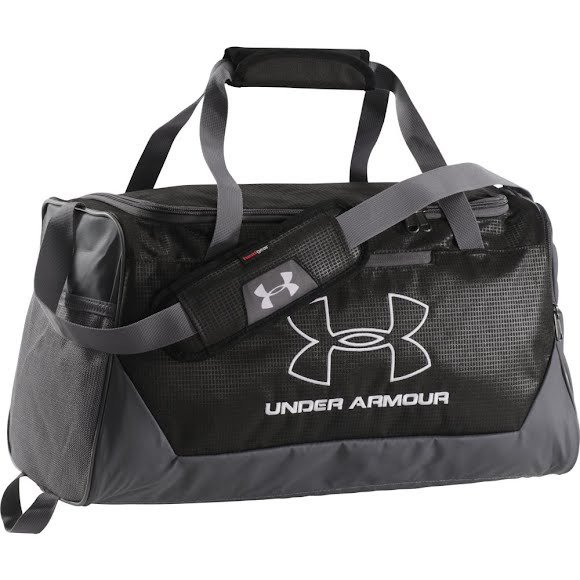 Haul your gear to the gym with ease with help from the Under Armour's Hustle-R Small Duffle. This duffel features UA Storm gear that uses a DWR finish to repel water without sacrificing breathability. The Hustle-R also features 2 large vented end pockets, 1 expandable for laundry and shoes. Haul your gear to the gym with ease with help from the Under Armour&apos;s Hustle-R Small Duffle. This duffel features UA Storm gear that uses a DWR finish to repel water without sacrificing breathability. The Hustle-R also features 2 large vented end pockets, 1 expandable for laundry and shoes. Dimensions 20" x 11" x 10"